These mittens wouldn’t exist if it weren’t for the movie, Your Sister’s Sister. We watched it with my parents over Thanksgiving weekend. One of the main characters wore a pair of cute, red convertible mittens throughout the movie. 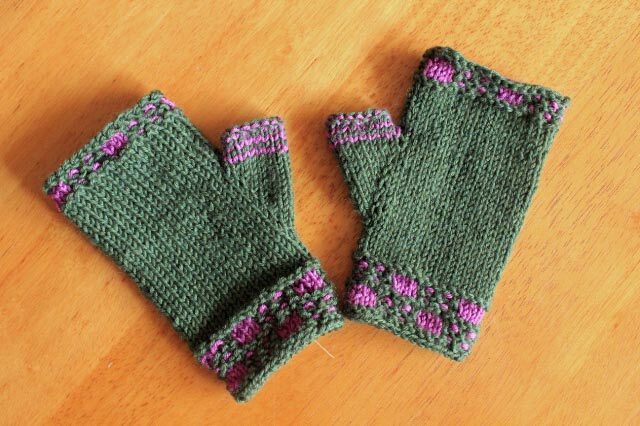 As a knitter, I noticed and admired the well-fitting mittens. The next morning at breakfast, my Mom asked if anyone had noticed the red mittens. It turns out she wanted a pair. After some online searching, we concluded she would not find what she wanted ready-to-wear, so I offered to make her a pair of mittens for Christmas. I selected the pattern Red is Best, by Jane Richmond. I liked this pattern because it had a clean design and came in multiple sizes, one of which looked like the perfect size for my Mom. My Mom loves her new mittens! I haven’t seen them on her, but she reports that they fit her perfectly. This was a great pattern! Very well written and fun to knit. I highly recommend it! I have plans to make a pair for myself. Pattern: Red is Best, by Jane Richmond. Yarn: HiKoo Simpliworsted. I used color Seattle Sky. Additional project notes: Ravelry Project Notes. It’s been a long time since I shared any knitting projects with you. I have several finished items that I’ve been meaning to show you for months. I need closure! Since there are quite a few projects, I will just give a quick comment and a photo for each one. I will link to my Ravelry projects if you would like additional information about the yarn I used or how to get the pattern. Often I will have additional photos and details there as well. Oh, and before you get all impressed about the number of projects I have completed, this represents about a year’s worth of knitting. Some people knit this much in a month or two. Still, I am pleased with my output. My daughter does not generally like wearing hats, but she does love the color yellow, so I thought, “Why not a yellow hat?”. She will wear this hat when it’s cold out (success! ), but it tends to fall down into her eyes a bit. That means it has growing room! I had a small amount of yarn leftover from my Corkscrew Hat, so I made some matching fingerless mitts. I had to modify the pattern a bit so I wouldn’t run out of yarn. I am happy with the finished product, and like wearing these when it’s chilly, but not cold. 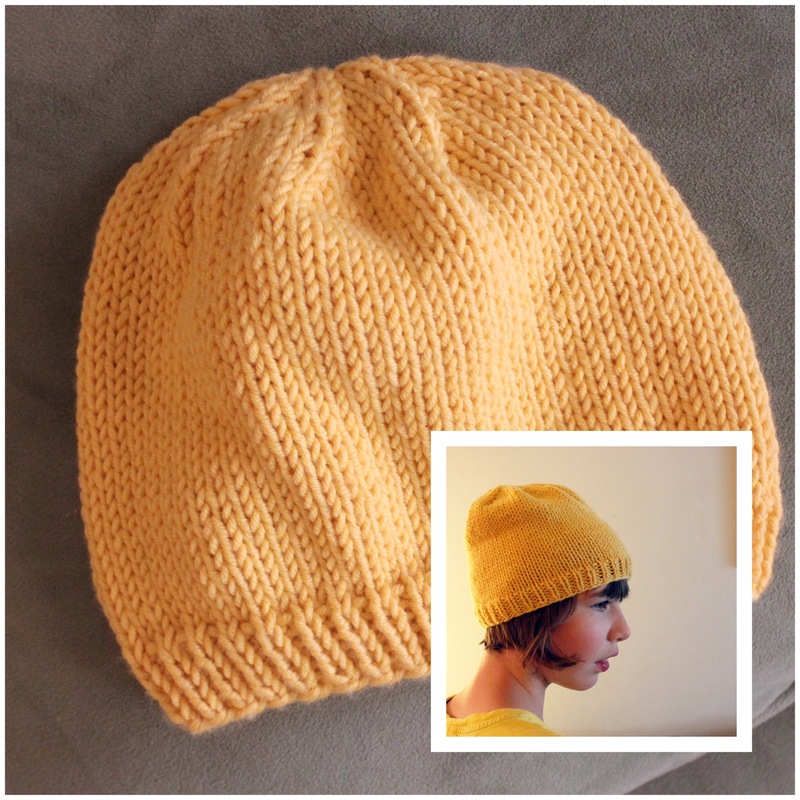 Yet another mystery knit-a-long project put on by Knit Purl Hunter. I do love her KALs! This one went to my sister for her birthday! I had fun making the cables, and I loved working with the yarn. I might need to make one of these for myself. My very first pair of socks! And another Knit Purl Hunter KAL. 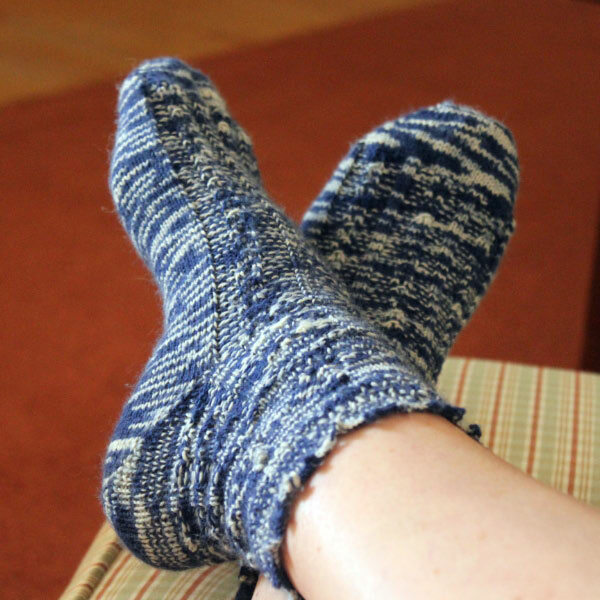 I just finished these a week or so ago so I haven’t had a chance to wear them yet, but I am very pleased with the fit for a first pair of socks. As promised, here is my recently-finished knitting project. I finished it a couple of weeks ago, but finally got photos taken this weekend. 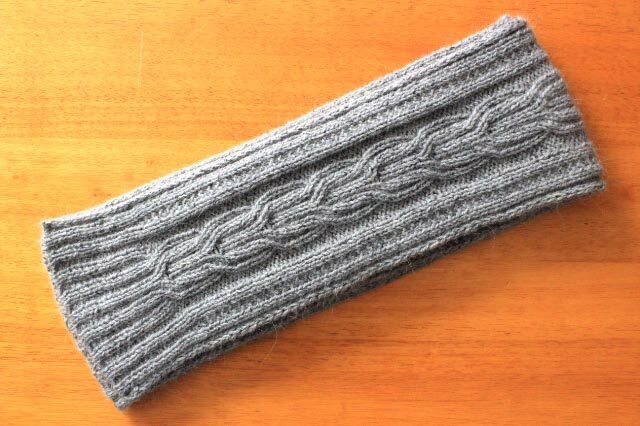 This was another Downton Abbey-themed mystery knit-a-long like the one I did last year. Initially I thought I would sit this one out, but then I got caught up in the excitement. It didn’t help that I found a yarn I fell in love with! The pattern is called a shawl by the designer, but it is shaped more like a wrap. Luckily I chose my yarn hoping I could wear this as an evening wrap, so the end result is perfect for the use I had in mind! It took me extra long to knit this pattern because after I knit almost three quarters of it, I decided to rip it all out and start over. The finished dimensions were turning out to be VERY long, and I felt that a shorter wrap would be better for me. It would have hung down to almost my knees. I am so glad I did this because I am very happy with the finished length. I love the lacy details in this wrap. I have discovered that I enjoy lace knitting quite a bit, though I have only tried simple lace patterns so far. I will certainly be doing more lace knitting! 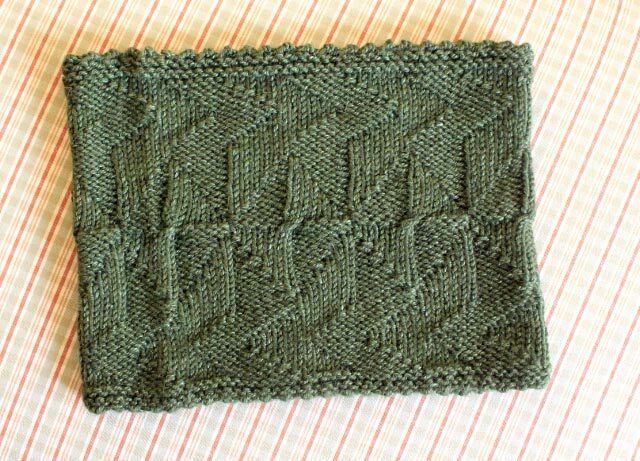 Pattern: Lady Mary’s Comfort Wrap by Kristen Ashbaugh-Helmreich. It is available as a free download from Jimmy Beans Wool. Yarn: Malabrigo Yarn Silky Merino. I chose the “Cloudy Sky” colorway and used 510 yards. Additional photos of my shawl and details about changes I made can be found in my Ravelry project.